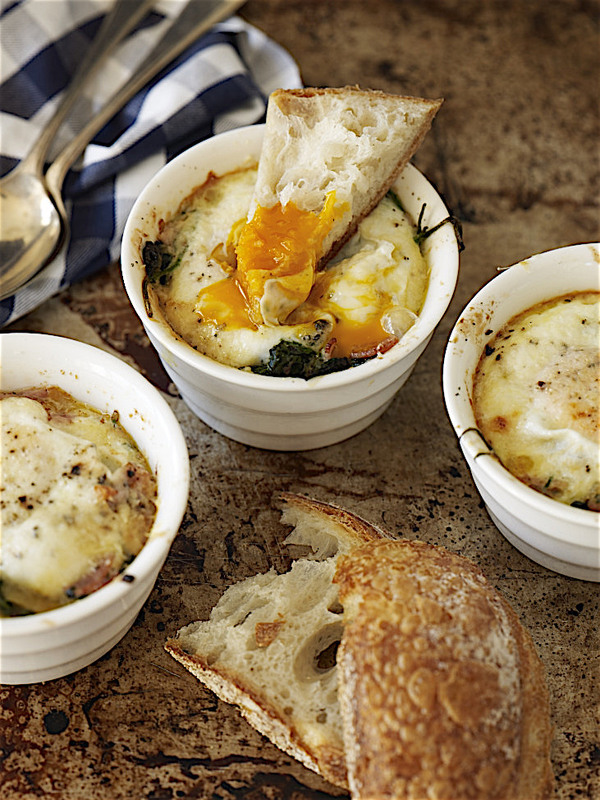 These are the best-ever en cocotte eggs. Just don't over-cook them. pan (skillet) with butter and olive oil and cook gently for about 10 minutes until tender and lightly golden. Add spinach and cook until it wilts. Season with ¼ of a teaspoon of salt, black pepper to taste and a good grating of nutmeg. Add chopped ham, cream and basil. 2 Butter 4 ovenproof gratin dishes (or ramekins) and divide spinach and ham mixture among them. Break eggs one at a time into a separate dish and gently transfer into each gratin dish. Grind over a little black pepper and sprinkle with parmesan. Melt 1 tablespoon of butter and spoon over top of eggs. Put gratin dishes on a baking sheet to make it easier to move them in and out of the oven. Cook eggs for about 10 minutes in preheated oven, leaving whites with a little wobble (the eggs will continue to cook as they stand). 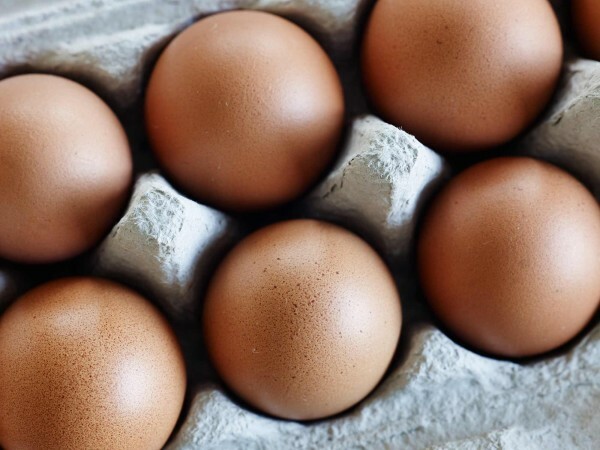 Let eggs rest for 5 minutes, then serve, or if you like your eggs set, cook them just until they are set in the oven – any more and they will dry out as they stand. Oh yes, once or twice a winter, a little crispy nugget of pork belly pleases my soul. There are so many things you can do with these little babies! Pepper cuties to add to an antipasto platter.